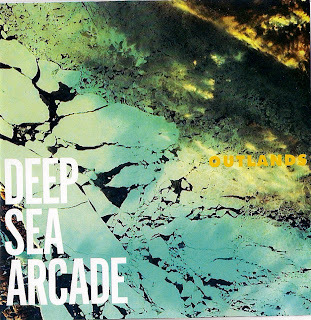 On the strength of Outlands, the debut for Deep Sea Arcade, it would be extremely tempting to label the Sydney five-piece a ‘beat combo,’ the lingering influence of the '60s on their sound almost deems the tag suitable. Lead single Girls could easily soundtrack the summer of love, with its meaty chord changes, kaleidoscopic production and even some ‘sha la la las.’ By the group’s own admission it was originally conceived by "jamming on a guitar riff that was essentially Wild Thing backwards." It’s a good metaphor for Outlands in general: a skewed, modern perspective on the otherwise naive sound of rock 'n' roll in its early infancy. Occupying a time when scuzzy distortion was the most out there sound to the popular ear and just around the corner, the wave of psychedelia was waiting to hit. Opening with stabs of fuzzy, discordant guitar twang on the title track, to the haunting Airbulance that closes it – the album is anchored by some darker undertones, but buoyed by their almost-naive melodies and vigour. For every track with the tie-dyed vibrancy of the handclap-heavy Steam, there’s a cut like Ride – cruising on its slow and steady metric groove, while slow-motion plucks of guitar yawn with noir pessimism. Singer Nic McKenzie’s needling vocals cut through the claustrophobic smears, ensuring it’s never enveloped by the psychedelic haze lingering at the edges. This battle between the moods recalls The Doors’ acid-blues or The Kinks at their most trippy, but there’s other stylistic nods too. Fan favourite Lonely In Your Arms channels stinging surf-rock while the fairground pump organ of If The Devil Won’t Take You recalls The Strangler’s Golden Brown. Most remarkably, the dreamy Mellotron string parts of Together evoke Magical Mystery-era Beatles (no easy feat). In fact, the songwriting core of Deep Sea Arcade is childhood friends Nic McKenzie and bassist Nick Weaver. It would be foolish to compare them to Lennon-McCartney at this stage, but there’s a synergy and focus in their channelling of beat pop and kaleidoscopic rock, and Outlands’ forty minutes is positively dripping with retro panache. Well thanks very much guys! I see you're some music-bloggers yourselves, shall check it out.